This handbook provides an introduction to the regional and international standards and mechanisms relevant to addressing business and human rights issues in Europe. 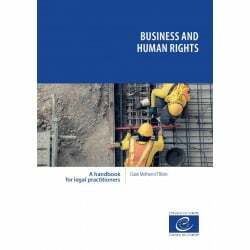 It is intended to serve as a resource for legal practitioners, and others, across government, business, civil society, the media and in independent bodies, such as ombudsmen and national human rights institutions. 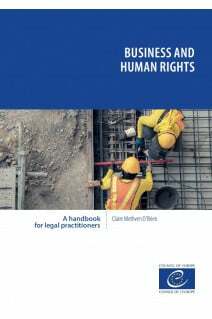 Given this broad audience, it does not assume extensive prior knowledge of business and human rights as a specific field within human rights law. Neither, given the breadth of its subject-matter does it purport to provide a comprehensive analysis of any topic contemplated or legal advice. While the handbook’s primary focus is on Council of Europe instruments applicable across all the organisation’s 47 member states, where pertinent it draws also on materials concerning international and other European regional standards, for instance, those of the European Union (EU).